Tonight at midnight, the Sunshine Coast Regional Council comes into being. That doesn't mean anything to anyone not living in the areas formerly under the control of the Noosa Shire, Maroochy Shire and Caloundra City Councils, but to us it means that the Councillors will be paid even more for taking an ever more parochial position on local politics. 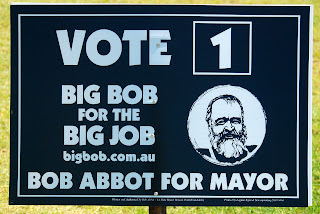 With the new Mayor set to earn almost as much as the Prime Minister, and with Noosa separationist Big Bob Abbot almost a certainty according to that font of all knowledge, the Sunshine Coast Daily News, who knows what mayhem the next four years will bring? So I thought, inspired somewhat by Joan and others, that there'd be no better time to have a go at a photo a day on the Sunshine Coast. 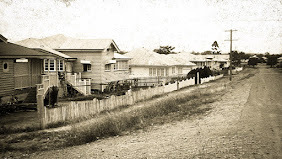 I don't know how long I'll be able to keep it up, and I suspect that day two may just be a repeat of this post, but everyone's welcome to check out the other Sunshine Coast Daily, hopefully providing an alternative that's a bit brighter! It's amazing how many rhyming alternatives our children, ably assisted by their father, can come up with to Big,Bob & job. RIP any developments outside the city plans of the SCRC! Have you forgotten your log-in name again anonymous? Yep! RIP work I say. I think I shall declare myself retired as of 14th March!